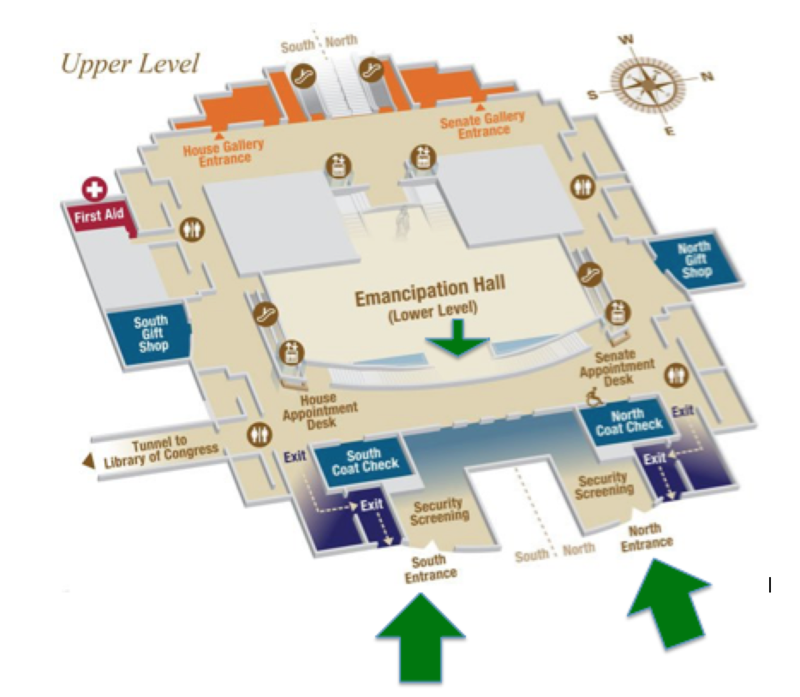 Enter the U.S. Capitol Visitor Center through the Main Entrance (marked below with green arrows). Proceed through security, and go down one level. Once downstairs, please go to the House Appointment Desk (circled below) to check-in. You will be shown to the event space from there. 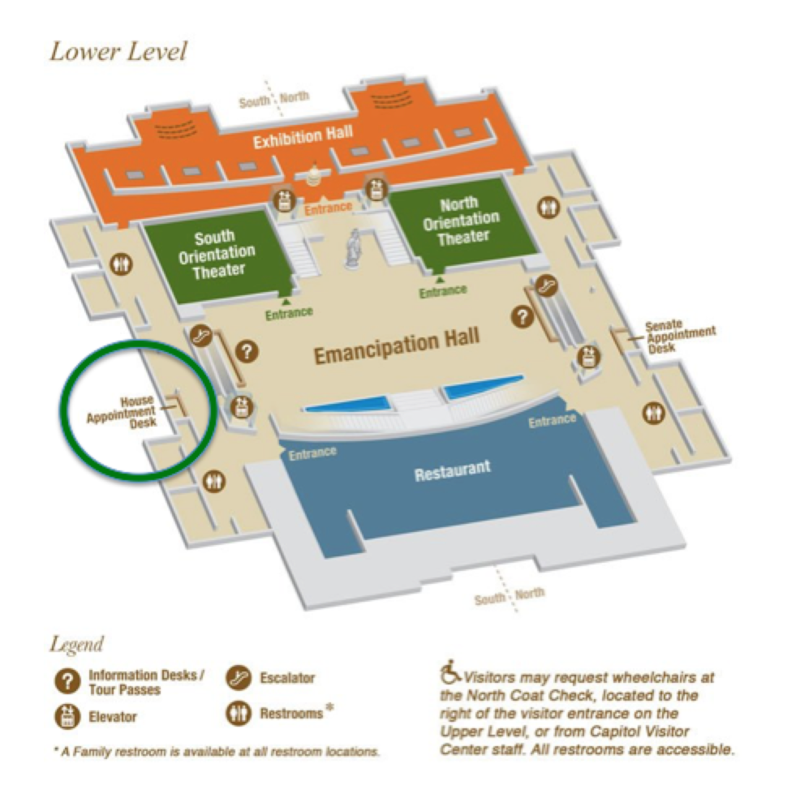 *Maps of the U.S. Capitol Visitor Center sourced from the Capitol Visitor Center website, arrows and circle added.